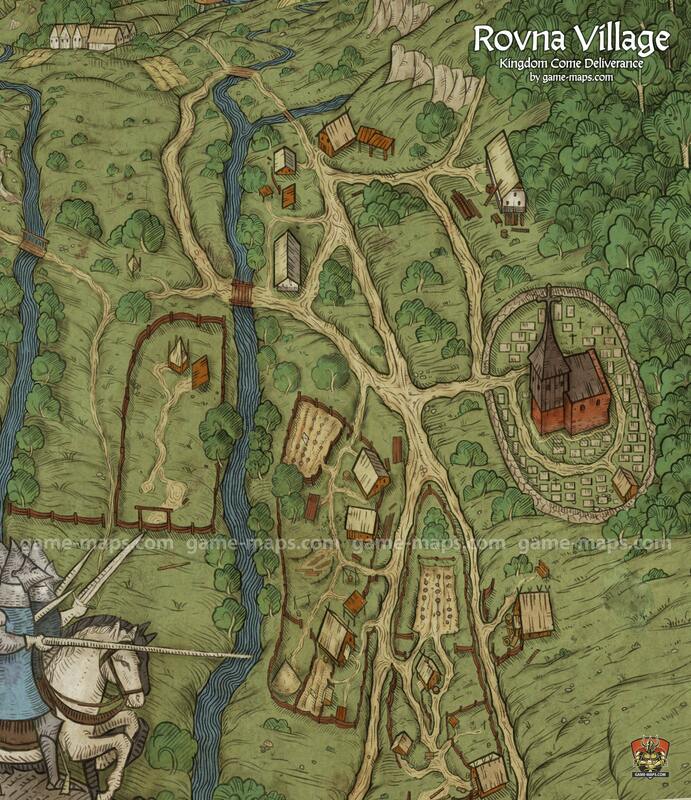 Map of Rovna in Kingdom Come Deliverance KCD Video Game. The village of Rovna lies close to Stříbrná Skalice (Silver Skalitz). Around 1150 a Romanesque church with a presbytery and cemetery were built there by monks from Sasau Monastery. The church was consecrated to the oldest patron of miners, St. James the Greater. The Romanesque frescoes are its most notable decorative element, painted in two stages, in the mid-12th century and roughly 100 years later.